The artwork for this Facebook Page was designed by Optimized360 for Dr. Paul Dobrin of Somerville, Massachusetts. The social media design applies similar style and colors to his website to create one cohesive brand identity. 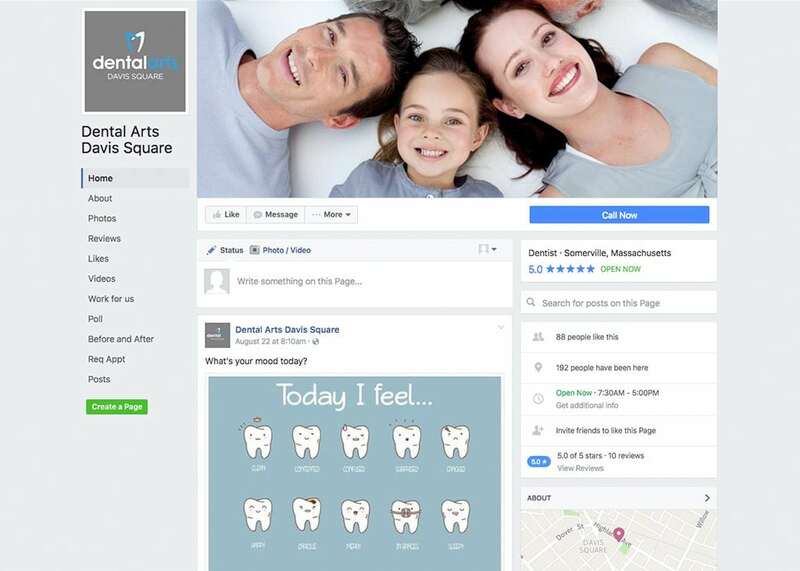 Facebook can be used as a major online social tool to connect with existing and potential patients from across the city of Somerville.